Laminate flooring is one the most popular of all types of floor covering. The first laminate flooring product based on direct pressure technology was launched on the market in 1989, and within just ten years this product developed to become the trendsetter among floor coverings Laminate flooring is quick and easy to lay, offers a multitude of individual design ideas and is good value for money. Laminate flooring consist of wood mostly. Wood is one of our planet’s sustainable and renewable raw materials, making laminate flooring a product, which is light on resources and even recyclable. 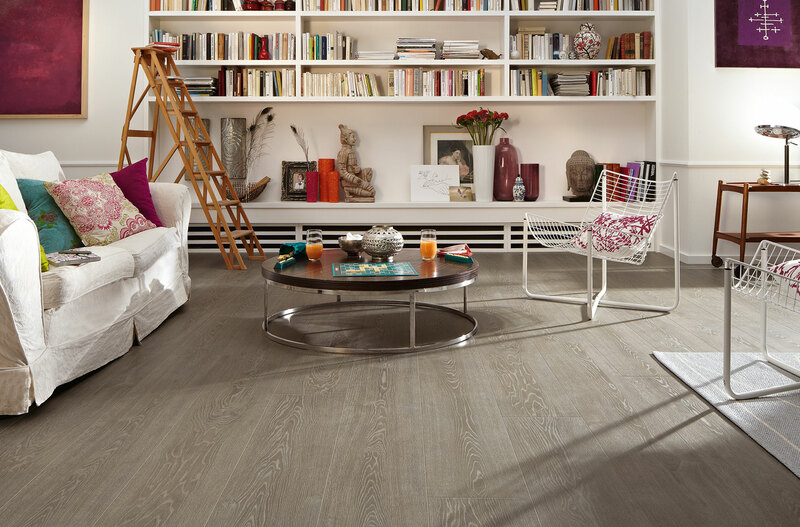 Learn more about decors, individual style, versatility and easy care of laminate flooring. Learn more about technical terms relating to laminate flooring.